As if Americans do not have enough to worry about, government reports and economists say up to 50% of workers should be prepared to be displaced by automation within the next two decades. 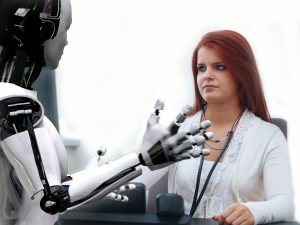 However, this is not startling news; a Pew Research Center poll conducted in 2015 showed that 65% of the 2,001 adults polled expected that “within 50 years robots and computers will “definitely” or “probably” do much of the work currently done by humans.” Though no one can predict which occupations might be affected, certainly routine, less cognitive-oriented tasks will continue to decline as artificial intelligence (AI) and machine labor take over. Kaiser Permanente, an award-winning healthcare provider, has embraced automation in the areas of laboratory science, including genetics and molecular testing, and patient labs. Benefits are expedited test results, lower costs, and enhanced patient care. There are distinct competitive advantages to automation in manufacturing: consistency, speed, and productivity. Cost is another important factor, and there may be societal benefits as well. LiveScience reported this month that tech startup Apis Cor, built an eco-friendly house for under $11,000 using a 3D printer. One can only imagine the global benefits of inexpensive and affordable housing. Any tasks that require a minimal, but still impressive amount of AI processing, may be subject to automation. This does not mean that all jobs will disappear, but their functions may look different in the future. Examples include smart transportation management systems, predictive analysis in health care, and data-driven, intelligent decision-making to help solve a variety of government, social, and business problems. People will be needed in critical roles that require communication, relationship building, intuition, and for non-routine tasks needing fine motor and cognitive skills such as surgery or repairs. The advantages are clear, but unfortunately, government and economists seem to agree that not everyone in society may benefit, particularly low and middle-income workers and those with less education. What technological innovations-vision systems, robotic automation, sensor technology, computer-aided design, machine learning systems-are occurring in my industry today? Which skills and competencies should we be looking for in workers prepared to take on the 21st century challenges of an increasingly complex and changing work environment? The next installment will address some practical strategies to consider when hiring for the workforce for the future.